DO: Joey you're about to release your eleventh studio album for Europe 'Walk the Earth', can you tell us about that? DO: There seems to be a change of approach in the songs on this new album, they are even more epic and grand, perhaps more seventies than eighties would you agree? JT: Yes, I suppose so... we don't really plan things. But I suppose the seventies... it's an era when we were young and we took in a lot of things. Maybe it is coming out naturally now. We do believe that the best Rock 'n' Roll was recorded then. The recording techniques of the seventies were optimised. They were really the best. At the beginning of the eighties there were some great productions too, but then came the gadgets, the toys and the digital stuff from a lot of companies wanting to set up studios and the production became a little bit more metallic and plastic. Most bands and musicians that really enjoy Rock 'n' Roll know how to record properly these days. And some of the best songs are a bit older. We want the best producer, the desk compressors, etc. And in Abbey Road they have all that and they maintain it well and we could use it. DO: I have often noticed recently a similarity in your voice with that of Ian Gillan's in his heyday. Do you see that comparison yourself? JT: Yeah, there have been some more comparisons with Deep Purple the last few albums, but it could also be the music. We are using more organ and we use Mellotron. Singing-wise the first blueprint for me was 'Made In Japan'. When I was very young I studied that... vocals, guitar and it's in me. I had all of the Deep Purple records. I sang to all of them, so maybe something is coming out of me now. And we are big fans of Deep Purple. We still think they are showing the way. They are still choosing great producers. They're playing great. They're writing great. Their new album is great. Now we are going to tour with them properly. We met them before and we did the odd show with them, but now we're gonna do an arena tour with them. It's gonna be really cool. DO: In terms of Deep Purple style songs I really thought that the track 'GTO' was very much towards that? JT: 'GTO'... yeah, that's a John Norum riff. We were like "Does anybody have any up-tempo ideas?' John said "I got a really cool riff". He worked it out with Dave Cobb in the Studio and I worked with Dave on the lyrics. It became kind of a car song lyrically... the love for the road and freedom... and you're right, it has a little bit of a Deep Purple feel on it, if I think about it afterwards. DO: The Europe band name came from the 'Made In Europe' album by Deep Purple? JT: Yeah. I remember we were called Force and we needed a new name (things were beginning to happen for us). The 'Made In Japan' and 'Made In Europe' albums – we listened to those so much when we were kids. DO: Turning to other influences on the new album, the slower track 'Pictures' seems to show some influences from Pink Floyd and The Beatles, so quite diverse really? JT: Yes, I think this album is something we have never really done before. We just let loose our imagination completely, including the approach with recording techniques. It's more kinda spiritual and maybe towards Pink Floyd. 'Pictures' is an idea I've had in my head for some years. Half of that verse has been kicking round in my head for a while and I wanted to try it this time. A few weeks before the final rehearsal, I was at my parent's place (I used to write stuff there on the piano when I was a kid) and I wrote the second part of the verse and I was like "oh yes I've got it!" and I played it for the guys and they thought it was really different and cool. 'Pictures' is one of my favourites because it's out there where we have never really gone before and production-wise it's interesting. Lyrically in the studio, we were there for two weeks and all the decisions were made when we were there. We talked about doing a sequel for 'The Final Countdown' lyric and what happened to the people who were leaving ground in 1986 heading for Venus. We worked together with a guy called Aaron in Nashville that Dave knows and we worked on the lyric to explore what the fate was of the guys and girls floating out there after the journey from 'The Final Countdown'. Therefore, it's kind of a follow up lyrically from that song. DO: Wow, great to know! And continuing the seventies theme, the track 'Wolves' has something of a Psychedelic influence? JT: Yes, and the intro was done with an old recording technique with old tape recorders. It's a typical recording technique they used a lot in the sixties and seventies and we had a lot of fun with that stuff. That song is different, a bit left field for us, but we love it! 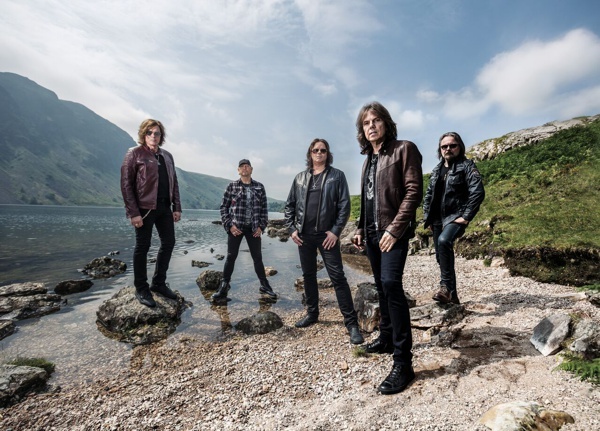 When I brought it into rehearsal, John Norum said "Wow that's cool. Let's work on that. Let's get it done!" It's also different in the vocal range and the arrangements. Lyrically, like 'Election Day' and 'Kingdom United', it has some observations politically about the world. It's about a whistle-blower who had to move away with his family because he told the truth about something and the wolves were hounding him in a situation where nobody trusts anybody. That was kinda cool to write. DO: Is there a unifying concept behind the album? JT: The original idea was to do something like that, but we realised after a while that we are entertainers and we are a Rock band, so we decided let's just have every track unfold in the studio lyrically really fast and we wrote together. I had an original idea, because the world is being pulled in so many directions now, I wanted to do research and I actually met a professor of history to learn about how democracy as we see it today came to be, where and how and when it happened at different points of time. It ended up just some research and a few songs touched upon it. 'The Siege' is about the part of the French Revolution, when Napoleon started to kick the aristocrats out of their seats and that's when democracy started in France. 'Kingdom United' is going back to the Magna Carta when that was formed, written and signed, when democracy got a foothold in the UK. A few songs are left from the original theme idea. 'Election Day' is just an observation about the two crazy elections going on at the same time in America and England. Chris Difford – my old friend the lyricist from Squeeze – helped me a little bit on that one and on 'Kingdom United'. When I do these subjects, when it comes to the UK or any history, I talk to people and learn a bit more about it. DO: 'Turn To Dust' on the new album is a philosophical song about life? JT: 'Turn To Dust' – musically, that was Mick the keyboard player's idea. We tried to make it for every album. This time I pushed it. I said "It's so beautiful that riff". So, we finally did it. 'Turn To Dust' the title was also Mick's idea. It's about let's not waste a day, the now, today... if you read the lyrics. I may have forgotten to send those letters and say those words to people I know, but there's still a chance to do it. It was a great ending to the album. 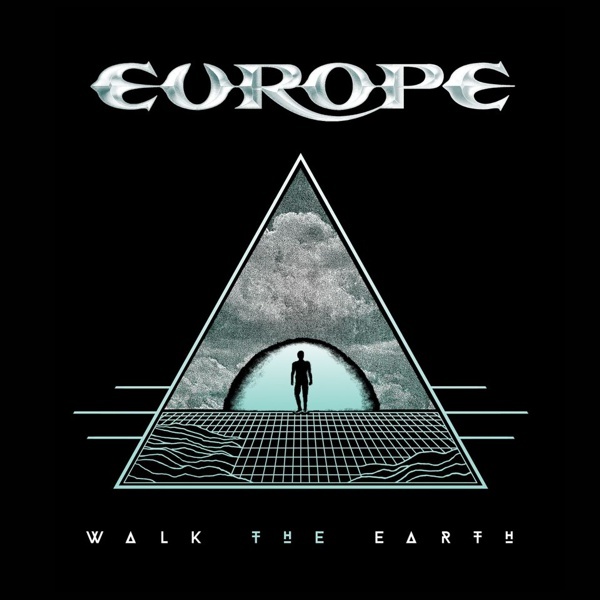 'Walk The Earth' is like a positive rebirth song and then we end with 'Turn To Dust' and it sounded like it was tying everything together nicely. DO: What does the image on the front of the album cover mean? JT: By chance we came to know about that artist. Dave Cobb had a t-shirt one morning when he came into the studio. We looked at this t-shirt and asked him where he got it from as we thought it was cool. He got it in LA and he's knows the guy. He's called Mike, who also lives in LA, a laid back great artist. He does signs. We said "Do you think he would be interested to work on our album cover?" Dave said "Yeah, sure try it" and we called the artist up. He was very interested. We gave him lyrics and titles, thoughts about what we like, Pink Floyd covers. We threw it all at him and he came back with this image and we tweaked it a bit, but this is his image of 'Walk The Earth'. One day he may explain it fully, but he is not a man of many words. For us, it just worked so well, this character walking into some sort of light or another place. I loved the grid on there, like walking the mountains, the earth and the sky. And the triangle which we have used for so many things, it's a beautiful symbol. We love the triangle. During 'The Final Countdown' tour we had three triangles above us when we played and on the flip side of 'The Final Countdown' album and on 'Prisoners In Paradise' our last album we had a triangle. DO: You just released the DVD 'The Final Countdown: 30th Anniversary Show – Live At The Roundhouse', can you tell us about that? JT: Oh, that was amazing! We just did ten shows. Everyone was on our case "aren't you doing the thirtieth anniversary thing?" We said 'Okay, let's do ten shows we enjoy'. In order to enjoy it fully, we played the new album 'War Of Kings' in full and then we played 'The Final Countdown' in full and we recorded and made the DVD for people that didn't see it because it was an exclusive tour. Yeah, it was really cool as we could play our new stuff and go back and enjoy the nostalgia as well. For us, it was a perfect night! DO: Why did you use the London show for the DVD? JT: We talked about Paris and other places. It's a lot to do with availability and venue size and how easy it is to shoot equipment-wise. We also like the Roundhouse. We played there before and we knew it would be a good venue and a beautiful venue to shoot. I think it was that in the end that swung it. And it was easy to get a team together for our schedule. Sometimes it's practical too. DO: I was at that show. You kept the energy up for well over an hour and a half. How do you keep up the stamina? JT: Thank you. We've been doing it for a while. I think it's muscle memory, the body remembers and it comes sort of easy for us. Me and Ian (the drummer), for us it is very physical, but for the others too... We have toured now for so long, after a thousand shows it's automatic. At the same time, it's very exciting. DO: Europe are powering ahead with all these new projects and releases, can fans rely on you carrying on for some years to come? JT: Yeah, absolutely! We haven't said we'll do any kind of farewell or goodbye tour. We just keep doing it album by album and will carry on as long as we are adventurous and creative and we feel like this is making us happy musically in the studio. The studio is very important to us. We don't just want to tour and make the same quick album that we don't really put everything into. We put everything into the album. As long as we can make an interesting album and challenge ourselves and our fans, we haven't said anything about stopping and so we're just going to keep going and hopefully people will join us on the ride.